shinz0, Doluded (+ 1 Hidden) and 7 Guests are viewing this topic. X60 founder edition. GMK Muted with Keyboard & Co accent. sweet mother of god. Sounds so smooth! This post should come with a NSFW tag. Damn. The 52g vint blacks are my favourite! Can i ask where did u get 52g springs? 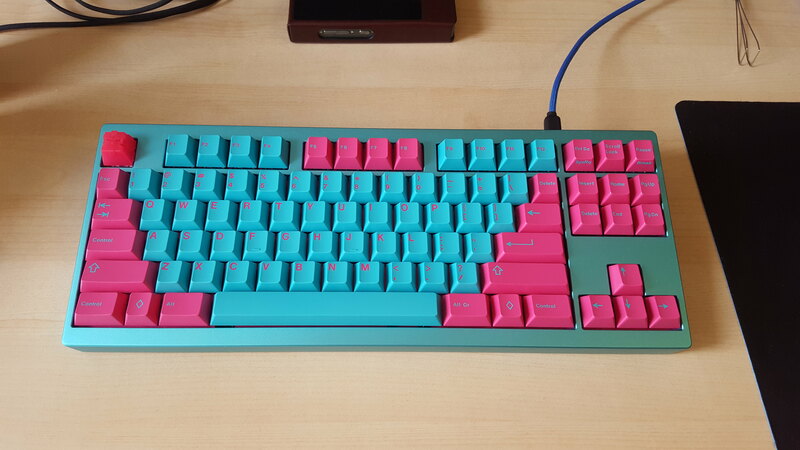 tbqh the x60 is just really really a clean board, looks great with that keyset too dude. Oh jeez that's nice. Great stuff. What's your favorite switch for work? gaming? For work/gaming I actually use my Topre HiPro 104 LOL. 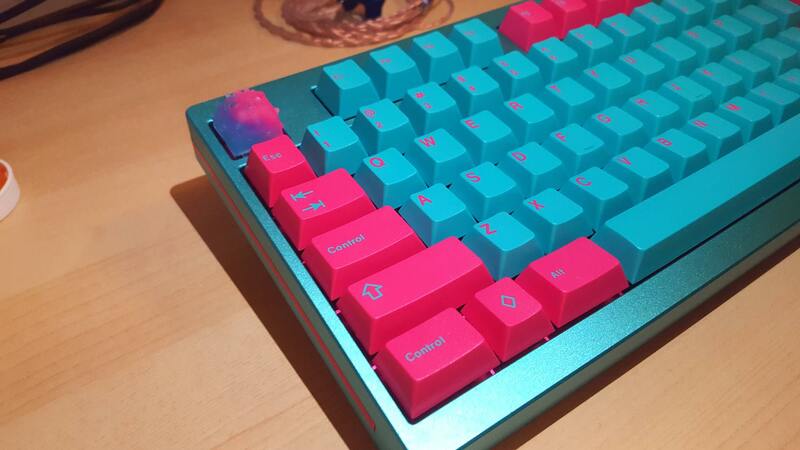 Initially, it started off with using these because they came with great PBT keycaps I can use for heavy use (to preserve my GMK sets hehe), but I personally don't think the switch has affected my gaming at all. I mostly played CSGO/League and hit LEM/Plat. Don't know if I have a clear favorite, but my top switches to use are Vintage Blacks, Blue/Orange/Green Alps, Topre, Holy Pandas. That is a lovely potato. A shame really, those are the best springs for linears I own. They are very light but seem to have a slightly steeper force curve than most super light springs you can get, so the bottom out still feels really nice. This one gives me dem good feels - even if the picture doesn't. 52g?! That's uber light. Is that referring to the actuation strength? Its been beaten to death. Just enjoy the pretty pictures. There was a vote (which is funny to think back on it), it was decided that all high end customs are fine. There's a bit of a controversy about the title of this thread, given some PMs we've received. As a result, a poll has been added. 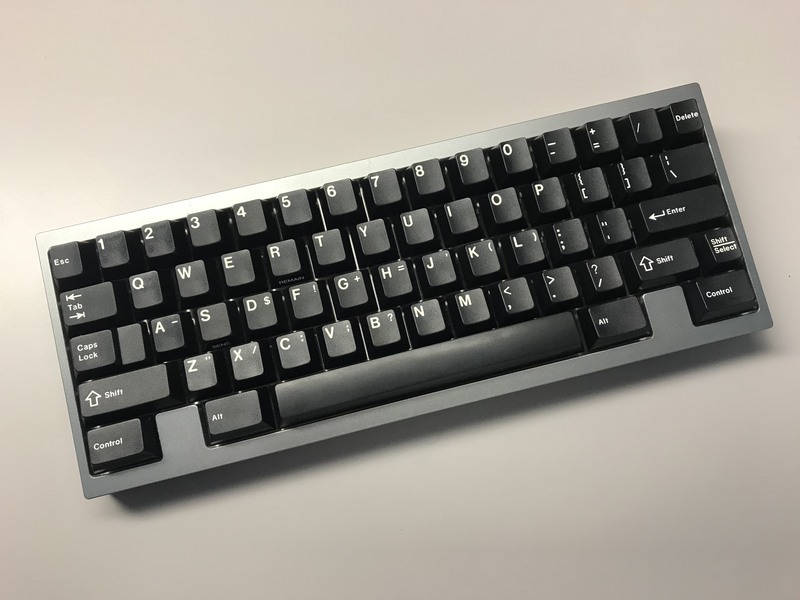 Basically it used to be that all or most high end customs (generally made with CNC aluminum cases, custom PCBs, etc) have been made by Korean artisans, but lately it's no longer the case. 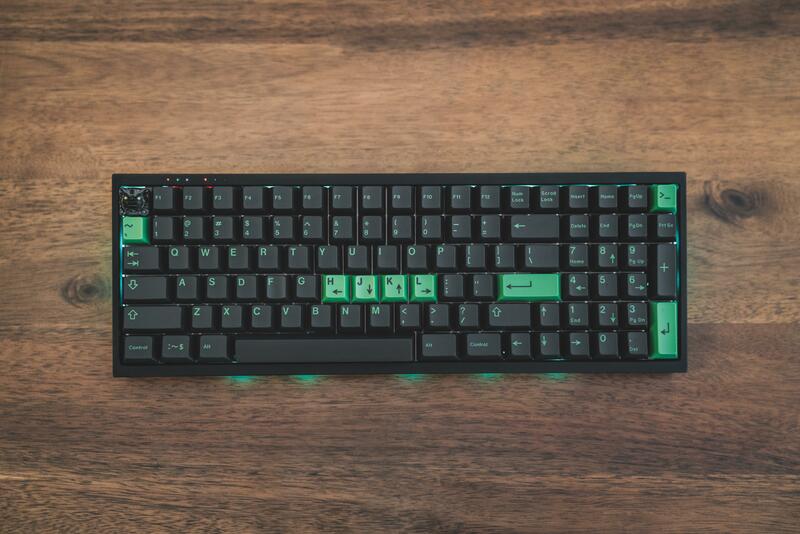 Since keyboards like TGR Jane have already been posted here, is there still a point to the thread's title indicating that only Korean customs should be posted here? What if they are designed by someone in Korea but made in China? etc. Please vote if you'd like to express your opinion. If you'd like to keep this thread dedicated to Korean customs only, we should probably have more clear terms for qualifying keyboards. Okay, even though it looks like MORE people voted to change the name of the thread and about a third of voters say that they don't care either way, clearly there's going to be a fair number of long-timer users upset with any change, so leaving the title as is for now. Even though technically if it became "Korean / High-End Custom Keyboard", it'd still be clear that all high-end keyboards can go here. We can write it off as a historical idiosyncrasy of this forum. LZ Ergo, SA Dasher, 67g Zilents. Page created in 0.141 seconds with 96 queries.